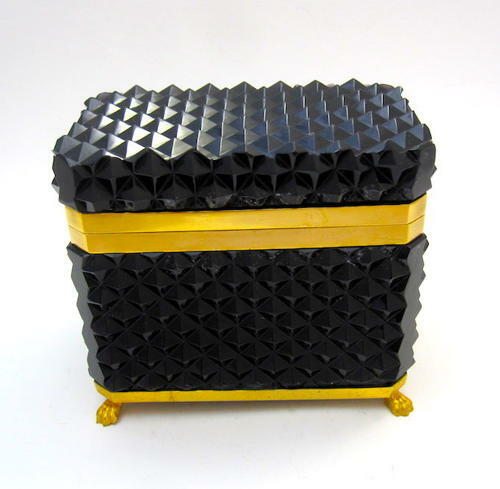 Rare Black Opaline Diamond Cut Rectangular Casket Box with Smooth Dore Bronze Mounts. This Beautiful Box Rests on 4 Dore Bronze 'Paw' Feet. Rare Black Opaline Diamond Cut 'Textured' Opaline.